Barbacoa is one of my most favorite proteins to meal plan because it is simple to prepare and the flavors are incredible! Plus, there are a number of dishes you can make with just this one protein like simply adding it to eggs for breakfast or served over mixed greens for an easy meal. 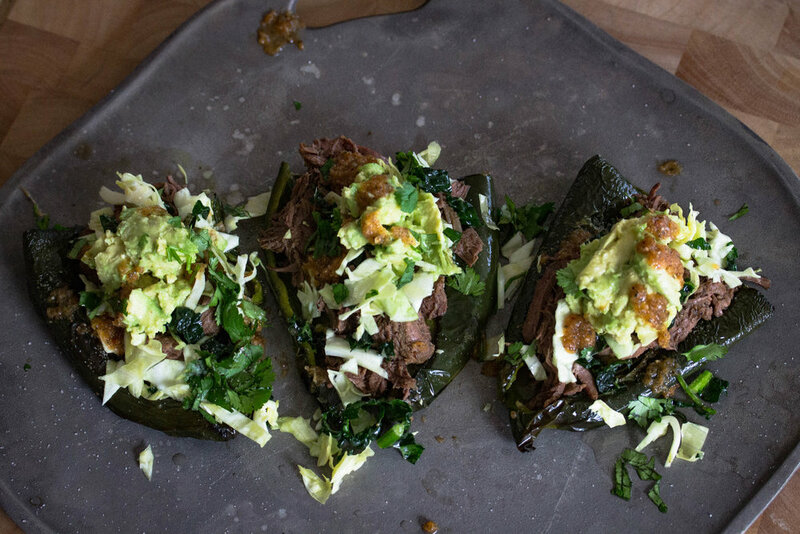 This recipe features the elk barbacoa over roasted poblano peppers, which are my favorite thing to roast! Poblano peppers are generally pretty mild although occasionally have a little heat, but that seems to dissipate after roasting. Poblanos are super high in Vitamin A as well as are a great source of iron and fiber. Don't forget about these nutrient dense peppers that are amazing to toss into salads, salsas, roast in the oven, or any sautéed veggie dish! 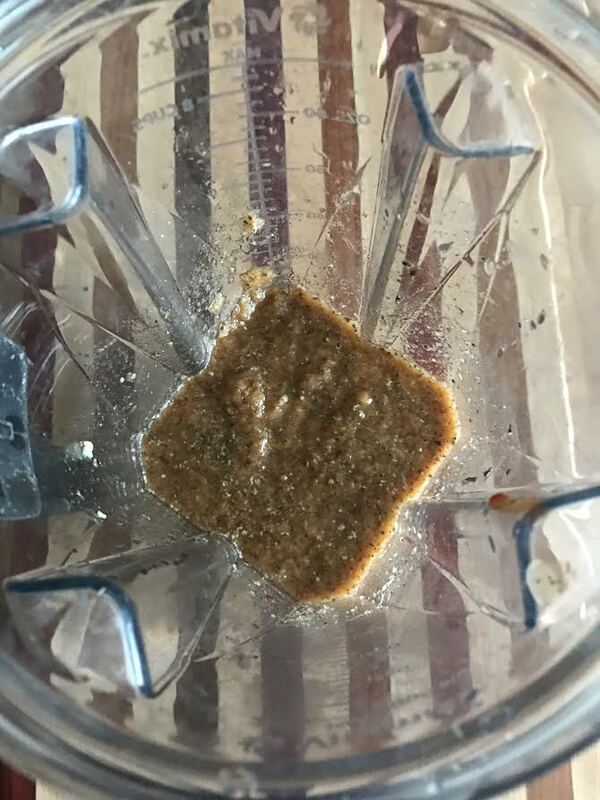 In a blender or food processor, combine everything listed above but reserve 2C broth and the meat. It should end up looking like a chunky salsa. Add most of sauce to slow cooker (save a few tablespoons for serving) and add remaining 2C bone broth and lard or ghee. There should be about 2 inches or more of liquid in the cooker, if not, add more broth or water. 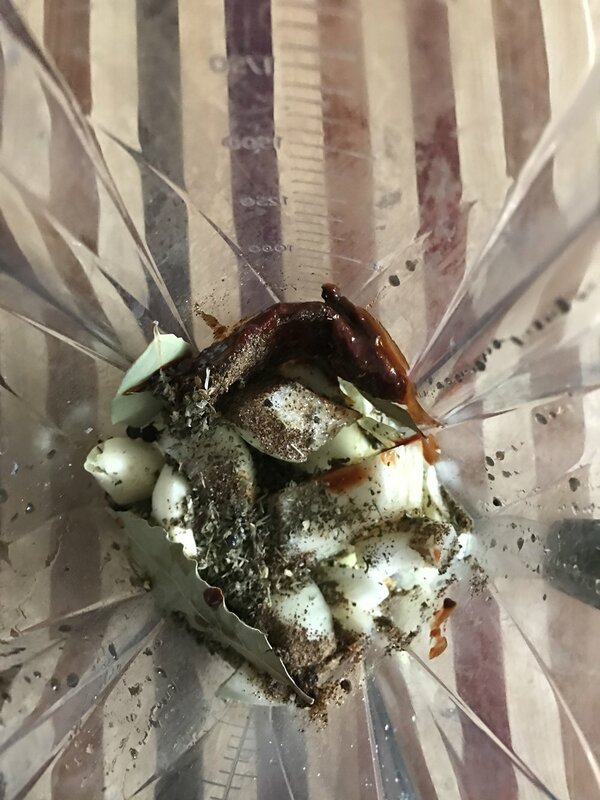 Option to season meat with steak seasoning and then place into slow cooker for desired time. Occasionally stir and make sure meat is well coated. Coat peppers evenly with 3TBS oil and season with 2TSP sea salt. Roast peppers for 20 minutes until skins begin to crisp and peppers soften. Meanwhile, combine cabbage, kale, 3TBS oil and 2TSP sea salt in a bowl. Add juice of 1 lime and combine until well coated. Allow to set at least 1-hour before serving, but best set overnight. Lay peppers flat on serving dish and spoon barbacoa mixture into each pepper. Top with a scoop of cabbage and kale. 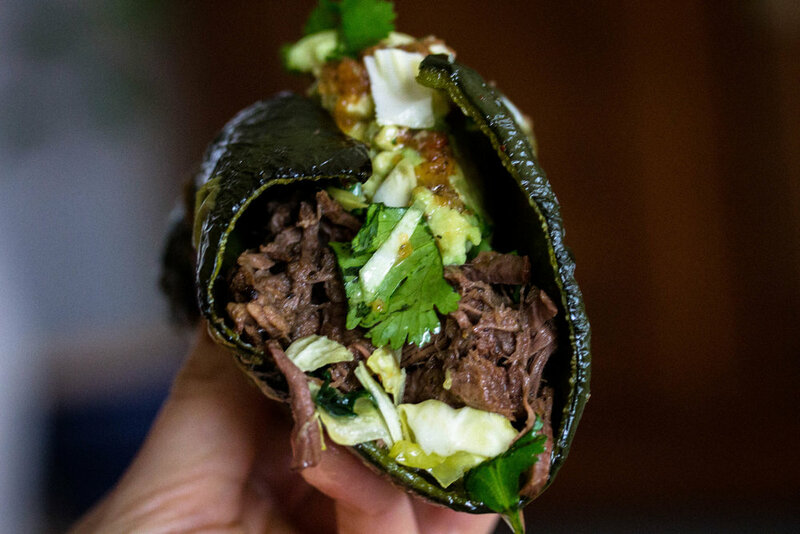 Finish with mashed avocado, cilantro, and a squeeze of lime juice.